“Anti-fascists and the black bloc tactic originated in Nazi Germany and resurfaced in United Kingdom in the 1980s. 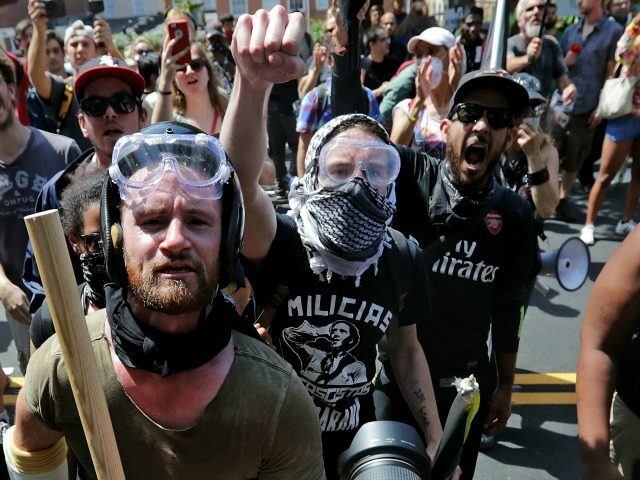 Large numbers of Antifa activists first appeared in the United States at anti-World Trade Organization protests in 1999 in Seattle, and then more recently during the Occupy Wall Street movement,” CNN reports. A woman was killed when a man drove his car into a crowd of counter-protesters in Virginia. CNN reports that Antifa members have been involved in violent clashes across the United States and around the world, including in Chicago, Philadelphia, Houston, Alabama, and Nebraska and at the G20 summit in Hamburg, Germany. CNN concludes that the people who Antifa targets describe themselves as “alt-right” and are inspired by Trump, who they say instigated violence during his presidential campaign by calling out protesters that showed up at his rallies. Atifa, according to CNN, claims their violence is “self-defense” against “hate speech” and people with whom they disagree. “It’s a position taken by many Antifa activists: ‘This is self-defense,'” CNN reports. “Antifa activists often don’t hesitate to destroy property, which many see as the incarnation of unfair wealth distribution” and “sometimes launch attacks against people who aren’t physically attacking them,” CNN admits. Scott Crow, a longtime Antifa member, said: “Don’t confuse legality and morality. Laws are made of governments, not of men,” quoting John Adams.